The Word of God is called Truth, but we also see that the Word is called Life and not just Life, but Eternal Life. Jesus is the Word of God and everything was created and sustained by Him. He is God’s Word manifested in the flesh as our Savior. When we receive Jesus, His Word is to Lord over us (See Receive New Life). First, the Word of Life displaces our old sinful nature with the nature of God by giving us a new spirit that connects us to God. At that point, God’s Word instructs us to be transformed by the renewing of our mind. We need to replace our old way of thinking and get the Mind of Christ: finding out what God says and coming into agreement with Him. You cannot walk together if you are not going in the same direction. If we want to walk with God, then we need to get to know Him. This is done through His Word and can only be effective if we trade our reasoning for God’s truth (See The Bible – Is it the Word of God?). God says, “You will know the truth and the truth will set you free.” Did you know that wrong thinking could drastically affect your life? It affects your choices and the paths you take. If we want God’s best for our life, we need to trade our will and desire for His will and desire. This requires trust. As we spend time with God and choose His ways, we will learn to depend on Him and develop trust in Him. In turn, God sees our faithful loyalty to Him and will reveal Himself more and more to us by providing understanding that can only be obtained through Him. His Word brings wisdom, guidance, freedom, health, and so much more. God is the life-giver and we need to be connected to that life source. Trade your fleeting, temporary life for “New Life,” which is eternal, and only comes through a connection to His Son, Jesus. God’s life is not only for our spirit man, but also for our soul and body. Sin brought sickness and disease into this world and so we need to be constantly feeding on the Word of God for its life-giving substance. What does it mean to feed on the Word of God? It means to read and meditate on God’s Word. As we think on God’s Word, it lets God know that His Word is valuable to us and we give Him priority in our life. He tells us He is a rewarder of those who diligently seek Him and His reward comes in many forms, one of which is revelation. Revelation is supernatural understanding that comes only through Him. Meditating on God’s Word also allows God’s Word to make its way from our head (intellect) to our heart (a knowing and acceptance that is deeper than just understanding). The Bible (His Word) is alive and powerful. He wants to speak to us daily through His Word. As we read His Word, it will often be as if specific words jump off the page. This is God speaking through His Word. Feeding on God’s Word daily brings life and we act on the Word by incorporating it into our life. Faith comes by hearing and continually hearing, which is important because it is by faith that we receive from God. Our faith requires action because His Word tells us that faith without works is dead. What does that mean? It means that you cannot just expect that what you know will change your life; it is what you do with what you know that changes your life. As we build and strengthen our faith in God and then act on the truths we find in His Word, it will produce God’s blessing in our life. Everything we do produces results, both in the natural and in the spiritual. Natural laws affect our life as well as spiritual laws. For example, if you want to live poor, spend all your income as fast as you earn it and if you want to be without, do not work at all. Those actions produce results, as does everything else. The way you speak to a person can either produce unity, harmony, peace, love, and knowledge or anger, division, confusion, and many other results. God’s Word offers instructions for successful living, along with sharing God’s design for His best for your life. 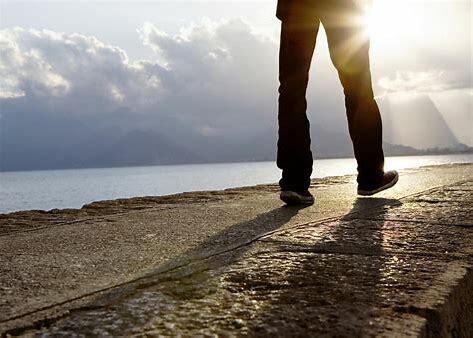 If you have not figured it out yet, the way to “Walk in New Life” is to seek God daily in His Word regarding your life and the issues that need His wisdom. God’s Word acted on will help you live out His best for you and your family.